Kassia S. Morgan is the founder of Spirit’s Edge, the Spirit’s Edge Mystery School, the Spirit’s Edge: A Seeker’s Salon community, Spirit’s Edge: The Witch’s Croft and the Spirit’s Edge Shamonial Tradition & Temple (www.spiritsedge.org). Kassia is a Shaman, Witch and Mage. She is a teacher, metaphysical/ shamanic healer, writer, ordained minister by and for Spirit’s Edge, Certified Martha Beck Life Coach, Reiki Master Teacher, and a Priestess of the Morrighan. She inspires seekers to find their own Love and Light of Spirit within, through teachings, liturgy and writings. Kassia is the founder of Spirit’s Edge: A Seeker’s Salon, a spiritual community of sharing, connection and spiritual wisdom for seekers and practitioners of all spiritual paths. We offer Public Rituals & Salon discussions and teachings to celebrate the Turning of the Wheel of the Year, along with workshops, online rituals and more to feed the Spirit that dwells within each of us. We welcome seekers of all traditions & all experience levels! All are welcome! Please click HERE for our Facebook community group page, HERE for our website and HERE for the Temple Facebook page. The Spirit’s Edge Shamonial Tradition and Temple brings together both shamanism and ceremonial magick in the context of Witchcraft. It merges teachings, breaks boundaries, bringing these concepts into a cohesive whole. It is a tradition not easily pigeonholed into one thing or the other. It also is a tradition that honors all traditions and that honors and welcomes all seekers. Kassia offers Witchcraft, Shamanism & Magick Online One Year Apprenticeships (levels I-V) in the Spirit’s Edge Mystery School. For more information please click HERE. 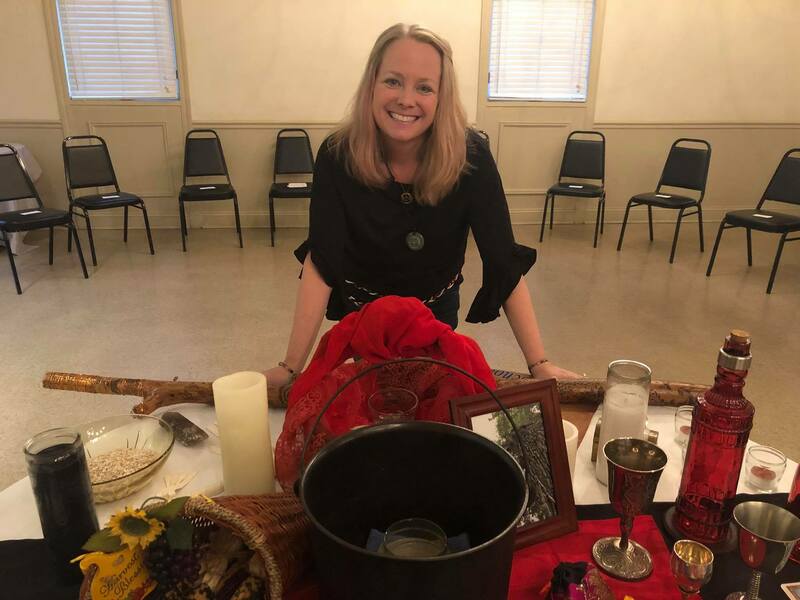 She teaches metaphysical classes at The Center for Mind, Body and Spirit and offers Witchcraft and shamanic classes, individual teaching and meditation sessions, shamanic healings and readings via phone appointments. On occasion she offers classes in her magickal space The Witch’s Croft. She also writes this blog, Thoughts on the Edge: Kassia S. Morgan, which you can follow HERE. You may follow her on Twitter HERE. Kassia is a clairvoyant, clairaudient, psychic empath with a passion for shamanic healing. She aligns with the divine that runs through all things, bringing the spiritual into manifestation in daily life, through a working partnership with allies in the plant, animal and mineral kingdoms. She is a Certified Gemstone Crystal Energy Healer, a healing modality to align the mind, body and spirit by working with crystals to balance the energy centers of the body. Kassia is a Reiki Master Teacher as well. She has been a practicing Witch for over 19 years (as of 2018). She worked as a solitary, later joining a teaching coven for several years, while also having another circle since 2007. She then hived off to form her own coven on Jan. 2010 with her circle, and they are still a working coven. She graduated from the Temple of Witchcraft’s Mystery School in 2012, and she served as a mentor and online moderator for its school. After graduating from the mystery school in 2012, Kassia studied with don Miguel Ruiz and his family, including don Jose Ruiz and don Miguel Ruiz, Jr., completing their seven week intensive Course in Mastery: The 7 Toltec Gateways for Reclaiming Your Spiritual Power and Mastering Your Life. She also journeyed with the Ruiz family to Mexico on their retreat Teotihuacan: A New Dream, New Year’s 2015. Kassia completed the Michael Harner Foundation for Shamanic Studies Two-Week Shamanic Healing Intensive training in Oct. 2013 earning the FSS White Certificate. She completed the Michael Harner Way of the Shaman weekend intensive training in spring 2013. She went on to deepen her psychopomp, death and dying work from the Two Week Healing Intensive through another weekend intensive, the FSS Shamanism, Dying & Beyond in March 2014. She then added to her shamanic extraction skills by attending the FSS Extraction Training weekend intensive Oct. 2104, and has plans to attend the FSS Soul Retrieval weekend intensive for further training in soul retrievals in March 2015. She contributed writings to three published books by Copper Cauldron Publishing – The Green Lovers: A Compilation of Plant Spirit Magic, The Waters and Fires of Avalon and Ancestors of the Craft and was a regular contributor to the Temple Bell Newsletter. She also contributed writings to the published book, By Blood, Bone and Blade: A Tribute to the Morrigan from Bibliotheca Alexandrina. 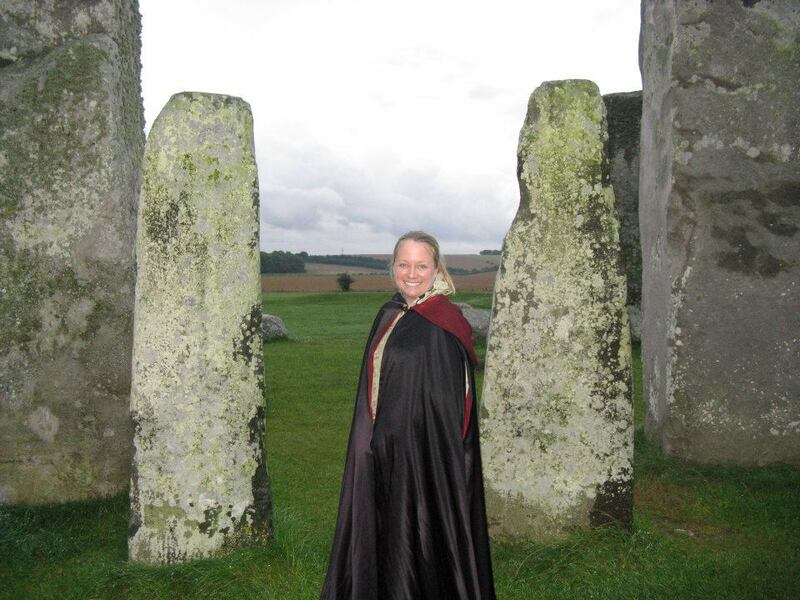 She journeyed on the Temple of Witchcraft’s pilgrimage to Glastonbury in 2011 and its Wild Magick of Wales pilgrimage in 2013, which you can read about in her blog posts. Kassia created and managed the first Spirit’s Edge booth for the 2014 Pagan Picnic with the Seeker’s Salon community. She is an annual presenter at the Pagan Picnic. Spirit’s Edge: A Seeker’s Salon had the honor of performing the Opening and Closing Rituals at the 2013 St. Louis Pagan Picnic, which was its official debut at the Pagan Picnic. She previously presented a Temple of Witchcraft workshop for the Temple of Witchcraft at the annual St. Louis Pagan Picnic. She also envisioned, launched and managed the inaugural Temple of Witchcraft booth at Pagan Picnic for three years while in its mystery school. Kassia previously completed extensive studies under a local shamanic practitioner, Ellen Dugan (Natural Witchcraft 1 thru 4 and the Advanced Witchcraft series), Mickie Mueller (the “year and a day” Celtic Tree Calendar), Rhonda Leifheit, Deborah Bourbon (including two crystal series, tarot series, Tree of Life series, quarterly energies courses and many more) and metaphysical/meditative life coach Jean Walters. Kassia was an initiated member of Coven of the Greenwood, a teaching coven under co-HPSs Ellen Dugan and Mickie Mueller, before founding her own coven with her circle. She has been a student of all things spiritual throughout her life, always seeking to answer the question of “why” and discover the mysteries of the universe – a curiosity that has continued since childhood. She has been on the path of the Shaman, Witch and Mage officially since 2000. Kassia lives in St. Louis with her cats, and enjoys her spiritual path, gardening, yoga, hanging out with friends and family, and visiting the family “Century Farm,” when she is not busy with her 25+ year career in government affairs/public policy. Her current gig is Director of Public Policy in long-term care related issues. She earned her Masters in Business Administration from the University of Missouri-St. Louis and her B.A. in Communications, Legal Institutions, Economics and Government from The American University in Washington, D.C.